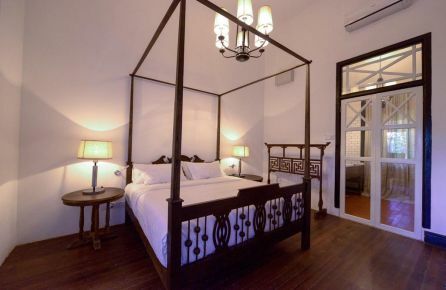 Lasenta Boutique Hotel Hoian is situated at an excellent location near Hoi An. From the hotel it is just a five minute bike ride to the historic center of Hoi An and to the beach is around 10 minutes. If you don't feel like driving yourself, the hotel offers shuttle services as well. The hotel is equipped with beautiful decorated rooms and a swimming pool with view! Charming Hotel with Beautiful Views! 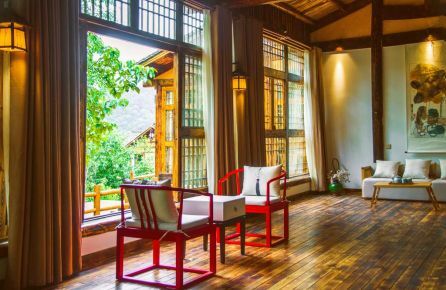 The Longjing Hualu is a perfect choice if you travel to Hangzhou to enjoy the beautiful scenery or as starting point for hiking or cycling. 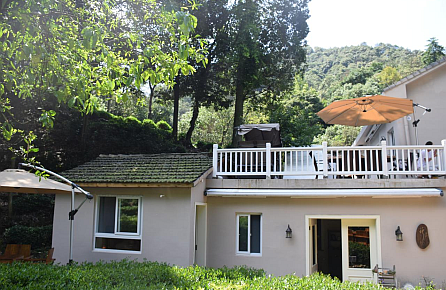 The hotel is located near Hangzhou in a small village and offers excellent facilities including a large terrace, free wireless internet, airport shuttle services and air-conditioning! The U Chiang Mai is a great hotel with many facilities, spacious and well decorated rooms and very helpful and friendly staff. The hotel is situated close to the old town of Chiang Mai, many tourist attractions are within walking distance of the U Chiang Mai Hotel. This hotel is one of the great place to stay during your trip in Chiang Mai! Small scale resort at Koh Lipe, Thailand! The Cabana Lipe Beach Resort is a small resort on Koh Lipe, a small and beautiful island in the south of Thailand. The resort is situated directly at the beach and offers stunning views over the ocean. The rooms are well equipped with free wifi private balconies. This resort is a perfect choice for a great holidays! 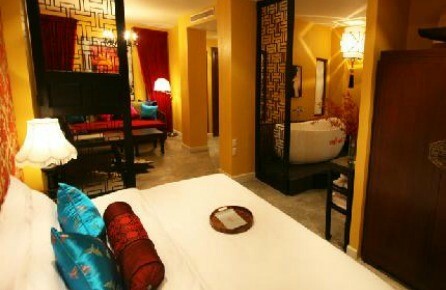 Luxurious boutique hotel in Beijing! 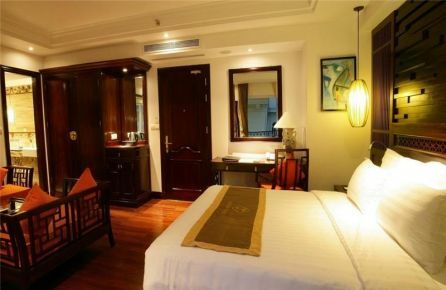 The Shichahai Sandalwood Boutique Hotel Beijing offers excellent facilities in a traditional surrounding. 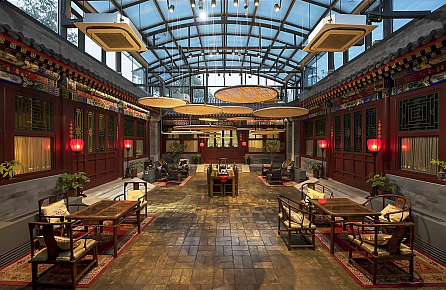 The hotel is set around a courtyard and offers beautifully decorated rooms with comfortable beds From the hotel it is a short walk to the famous Houhai area, where you will find many bars and restaurants. This a perfect choice for a comfortable stay in Beijing. 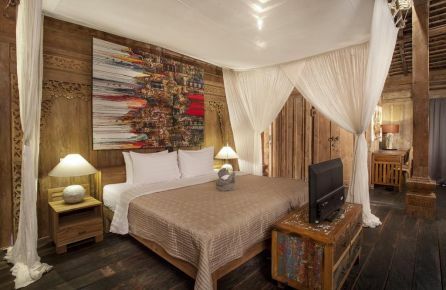 Small Boutique Hotel Ubud, Bali! 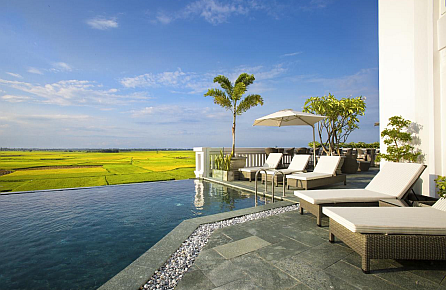 The Kabinawa Ubud Villas and Café is a small hotel with stunning views over the rice fields of Ubud on Bali. The hotel is perfect if you are looking for a quiet, small hotel with excellent facilities! Great hotel at central location! 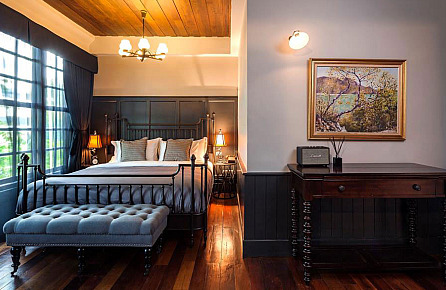 The Bangkok Publishing Residence is a charming boutique hotel in the city center of Bangkok. The rooms are beautifully decorated in a retro style and equipped with wooden floors, well-designed furniture, air-conditioning and free wireless internet. The Bangkok Publishing Residence is a excellent choice for your stay in Bangkok. Small Boutique Hotel near the Sea! 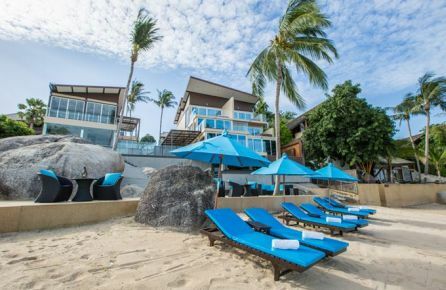 The Beluga Boutique Hotel is a small hotel located at Lamai Beach. The rooms are clean, well-equipped with air-conditioning and some of them have stunning views over de the sea. The hotel also offers great food and a swimming pool with sunbeds. 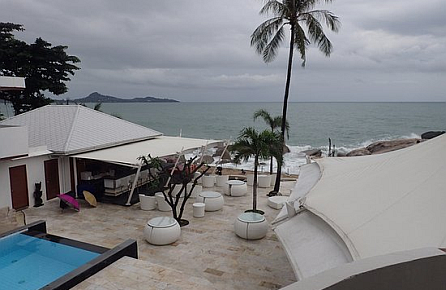 To the nightlife of Lamai is only a ten minute walk from the Beluga Boutique Hotel! 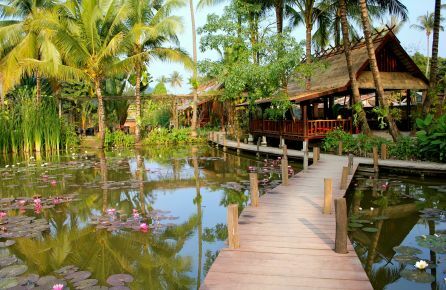 The Hue Ecolodge is situated just outside Hue at a peaceful location, close to the Perfume River. This hotel is a perfect choice if you prefer to stay outside of the city. Most of Hue's attractions are still easy to visit and within five kilometers for the Hue Ecolodge. The hotel offers spacious rooms, an outdoor swimming pool, excellent food and free wireless internet. 99 The heritage Hotel is a beautiful hotel, close to the city center of Chiang Mai. The hotel has excellent facilities including an outdoor swimming pool, air-conditioning and free wireless internet. From the hotel it is a short walk to several of Chiang Mai's touristic hot spots such as Wat Phra Singh and Three Kings Monument. Villa Samadhi Singapore is great choice for your stay in Sngapore! The rooms are spacious and well-equipped with colonial style furniture, air-conditioning and free wireless internet. From the hotel it is a short walk to several attractions such as the Labrador Nature Reserve, Fort Siloso and Henderson Waves. 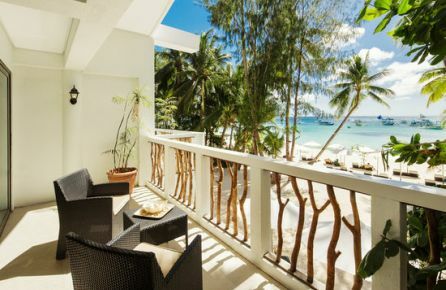 From most of the rooms of Cabana Lipe Beach Resort you have stunning views over the ocean especially during sun set and sun rise you will be amazed by the views. The hotel has excellent facilities /including free wireless internet. In the surrounding of the hotel you can do many beach activities such as snorkeling, diving and fishing. Small boutique hotel in Luang Prabang! 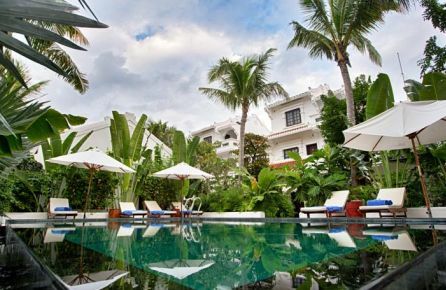 Maison Dalabua is an excellent boutique hotel at a central location in Luang Prabang. From the hotel it is a short walk to several interesting places to visit such as the Royal Palace and the night market. The hotel has great facilities including a swimming pool and free wireless internet. Maison Dalabua is absolutely a top pick in Luang Prabang! Alami Luxury Villas & Resort is a small boutique hotel at a quiet location on Bali. The hotel is set in a less developed part of the Island away from mass tourism. This makes the hotel a perfect choice for relaxing and coming at ease in a beautiful surrounding. The hotel has excellent facilities including a (private) swimming pool! Dreamy Location at Boracay Island! Villa Caemilla Beach Boutique Hotel is just the perfect hotel for a relaxing beach holidays. The hotel is situated directly on the beach and from your room you have a great view over the ocean. The staff of Villa Caemilla Beach Boutique Hotel is very helpful and will try their best to make sure you have a great holidays! Khmer Style Boutique Hotel Siem Reap! 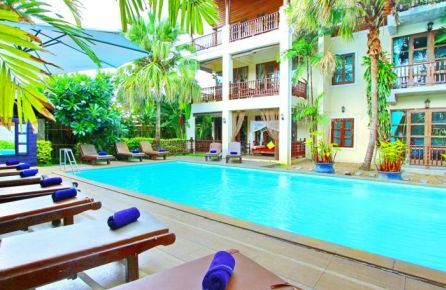 The Golden Temple Hotel is a small boutique hotel at a convenient location in Siem Reap. The hotel offers excellent services such as a shuttle bus from and to the airport. The rooms of the Golden Temple Hotel are spacious, clean and beautifully decorated in a local style. The friendly staff is more than willing to help you during your stay in Siem Reap! Small boutique hotel in Bangkok! The Cabochon Hotel & Residence is situated at a great location in Bangkok, close to several touristic attractions and just steps away from BTS station Amok. This hotel offers only 9 rooms with excellent facilities including free WIFI and an rooftop swimming pool. 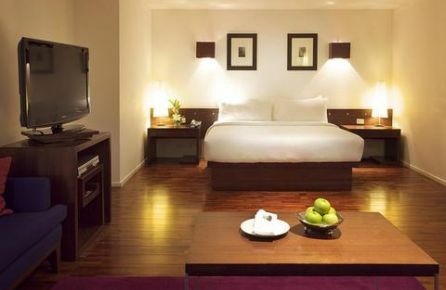 The Fusion Suites Saigon is a luxurious boutique hotel at an excellent location. The rooms are bright, clean and equipped with air-conditioning and free wireless internet. In the direct vicinity of the hotel you can find several touristic attraction such as the Reunification Palace and the War Remnants Museum. 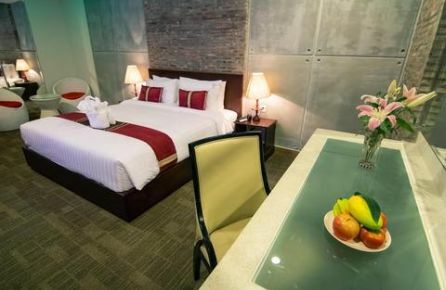 Staying in this hotel will guarantee a pleasant stay in Ho Chi Minh. Charming boutique hotel in Chiang Mai! 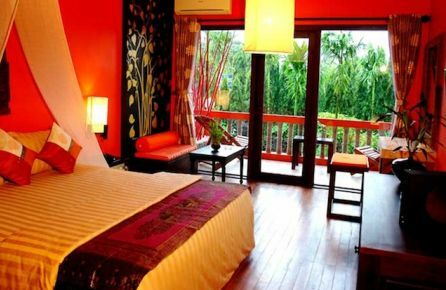 The Shewe Wana Suite Resort is situated at an excellent location in Chiang Mai. Just a ten minute walk from the night market and several local shops. To the old city it is a walk of twenty minutes. The Shewe Wana Suite Resort offers 15 rooms with up-to-date facilities a swimming pool and free wireless internet! Great Hotel in a Stunning Scenery! On your way from Vientiane to Luang Prabang, you will pass by Vang Vieng, this city is situated at a breath taking location along the Nam Song River and famous for outdoor activities. 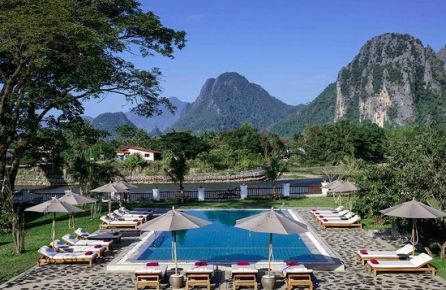 The Riverside Boutique Resort has great facilities including an outdoor swimming pool and is centrally located in Vang Vieng. The Majestic Malacca Hotel is located in the heart of Malaka, listed by UNESCO as World Heritage Site. The hotel is dating back to the early 1900's but offers nowadays facilities including free wireless internet and a swimming pool. From the hotel it is a short walk to the Melaka River, Jonker Walk and the Stadthuys. Small hotel near the temples of Bagan! My Bagan Residence is a charming, small hotel near Bagan. The best way to explore the old city, the temples and other attractions is by renting a bicycle. One of the advances of My Bagan Residence is that it has an outdoor swimming pool especially during the hot period an excellent way to cool down after a day of exploring the temples. Great hotel in Hoi An, Vietnam! Muca Hoi An Boutique Resort & Spa is a charming boutique hotel with 36 rooms and is situated on the banks of the Thu Bon River. The hotel offers several extra facilities such as cooking classes, fishing and free bicycle rental. The rooms are well-equipped including air-conditioning and free wireless internet. The Dhavara Boutique Hotel is a beautiful hotel at a central location in Vientiane not far from the Mekong River, Namphu Park and Wat Sisakate. The luxurious rooms are spacious and well equipped, including air-conditioning and have access to free wireless internet. A great place to stay during you visit of Vientiane! Villa Song Saigon is located in the second district of Ho Chi Minh, directly along the Saigon River. The hotel offers 23 luxurious rooms with great facilities including free wireless internet. The outdoor swimming pool and an excellent kitchen will make sure you will enjoin your stay in Villa Song Saigon! 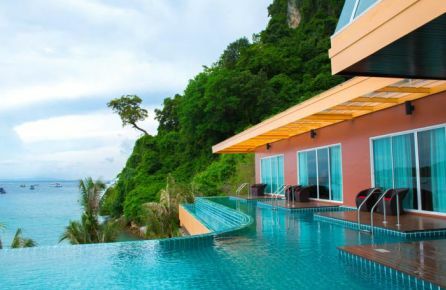 From the Phi Phi Cliff Beach Resort you have a stunning view over the bay area. The hotel offers 30 rooms, all rooms have access to free wireless internet and are equipped with traditional Thai furniture. Other facilities of the Phi Phi Cliff Beach Resort are a swimming pool and a restaurant. Ton Sai Pier is 700 meters from the hotel. 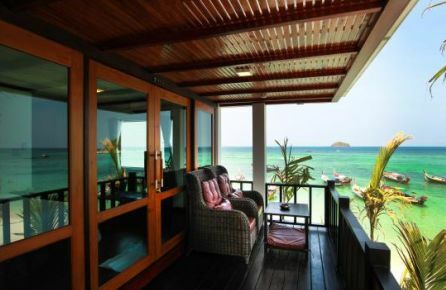 Charming Boutique Hotel at Koh Samui! 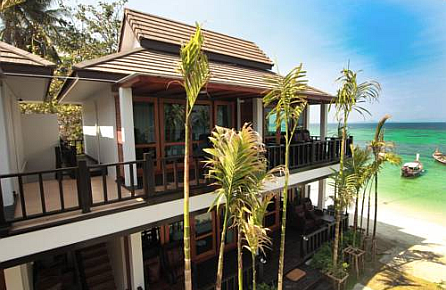 The Royal Beach Boutique Resort & Spa Koh Samui is a small hotel with only 24 rooms. The hotel is a perfect place to enjoin beach and sea activities such as snorkeling and canoeing. The hotel presents spa & wellness facilities and the rooms are equipped with free wireless internet. River view boutique hotel in Chiang Mai! 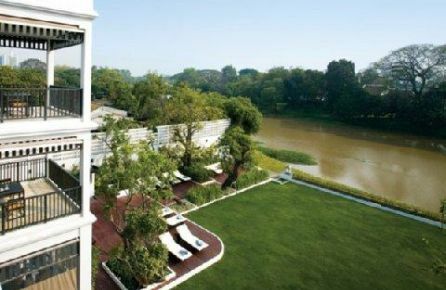 The Arunta Riverside Boutique Hotel is a charming boutique hotel along the Mae Ping River in Chiang Mai. The hotel rooms have an Asian design with up-to-date facilities such as free wireless internet. The hotel has also a swimming pool and a free bicycle rental services. 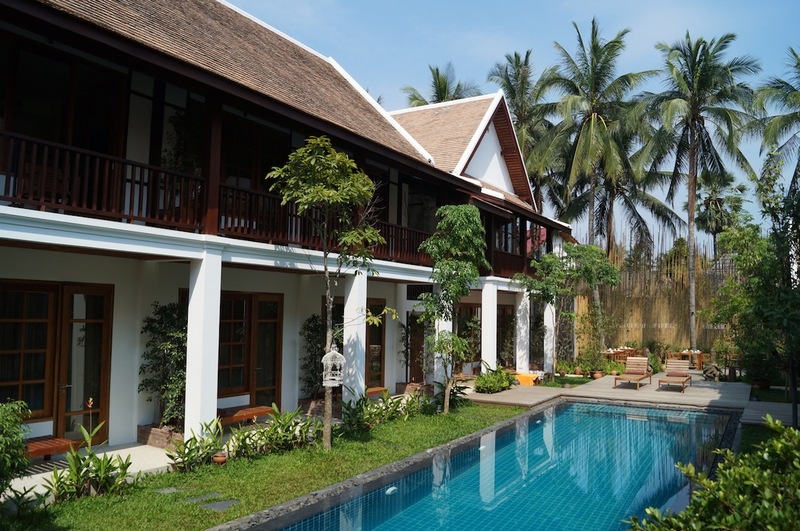 This hotel is a great choice for a relaxing stay in Chiang Mai! 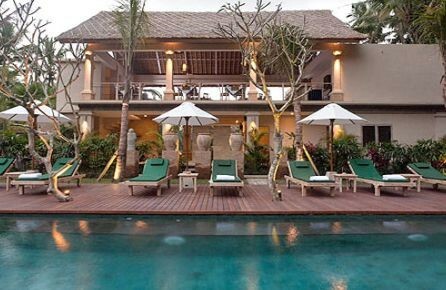 Luxurious Villa in Seminyak, Bali! 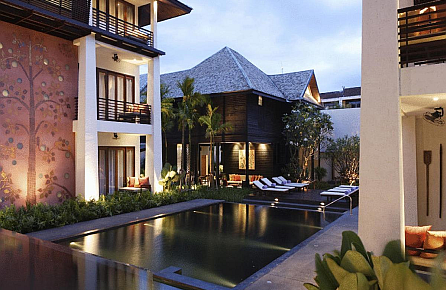 The One Boutique Villa is located in Seminyak, Bali. This small hotel offers six luxurious villas. 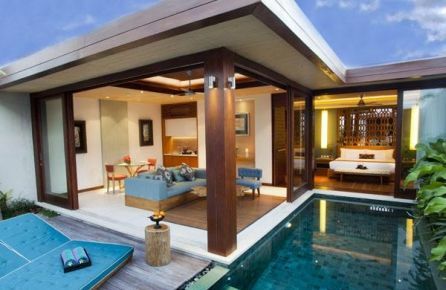 The villas have private swimming pools and one or two bedrooms. To the nearest beach is a 5-minute walk. Drop off services are provided to several famous spots on Bali. This hotel is the perfect choice for a relaxing holidays! Historic Hotel in city center of Bangkok! 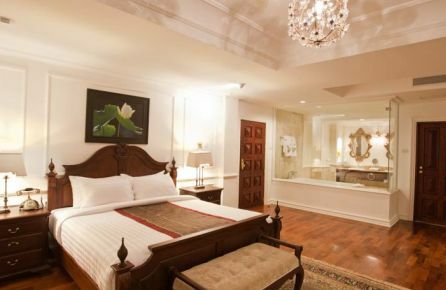 The Hua Chang Heritage Hotel is a beautiful hotel in the city center of Bangkok. The hotel is an excellent starting point from which to explore the city. Top 10 attraction the Jim Thompson house is a walk of five minutes from the hotel as is the nearest sky train. Enjoin your stay! Great Location to explore Hanoi! 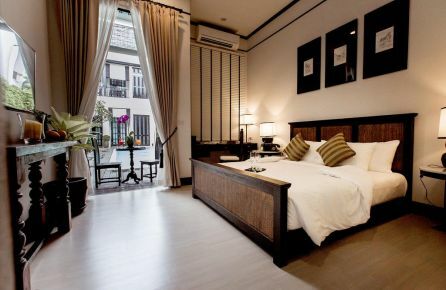 The Palmy Hotel & Spa is a small boutique hotel, centrally located in Hanoi. This makes the hotel a perfect starting point from which to explore Hanoi, just steps away are the Ngoc Son Temple, Haom Kiem Lake and St. Joseph Cathedral. The hotel offers great facilities including free wireless internet, a bicycle rental service and spa & wellness facilities. The rooms are spacious with wooden floors and decorated with local furniture. 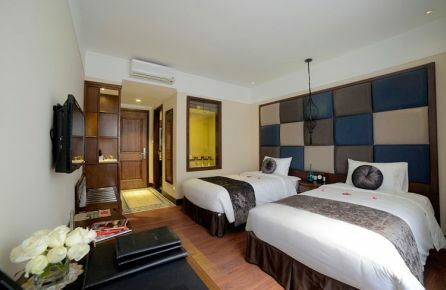 The location and the facilities makes this hotel an excellent choice for you stay in Hanoi! Beautiful Boutique Hotel in Phnom Penh! 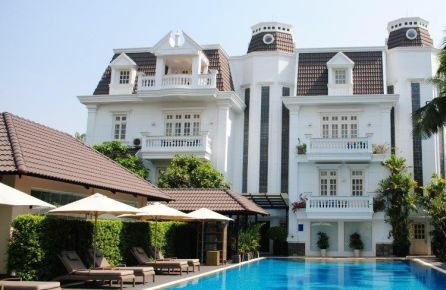 Villa Sovanna Boutique Hotel offers fourteen villa's in the city center of Phnom Penh. The hotel is equipped with up-to-date facilities including free wireless internet in all villas, a swimming pool and the possibility to rent bicycles. This will the hotel an excellent starting point from which to explore the city! d'Penjor Seminyak is a small boutique hotel in Seminyak, the hotel is located close to the beach, the airport and not that far from the city center of Kuta where you can all major touristic attractions. The 23 rooms of the d'Penjor Seminyak hotel are clean, elegantly decorated and have access to free WIFI. This hotel is an excellent choice for a relaxing holidays on Bali! 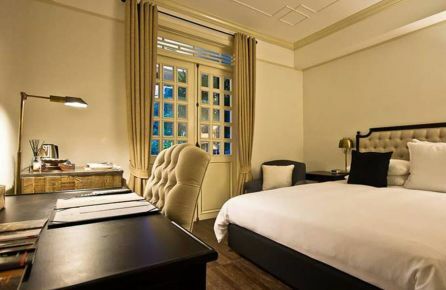 The Hanoi La Siesta Hotel & Spa is a luxurious boutique hotel in the city center of Hanoi, close to the Song Hong river, the Ngoc Son Temple and the Bach Ma Temple. Guests of this hotel are especially enthusiastic about the great staff and the excellent loction of the Hanoi La Siesta Hotel & Spa. Le Sen Boutique Hotel is a small boutique hotel in Luang Prabang, several interesting places are close to the hotel, to Wat Manorom is a walk of five minutes, to Phousi Mountain and the Night Market is around ten minutes. Le Sen Boutique Hotel has nineteen rooms and a small swimming pool, the hotel has great facilities including free wireless internet. This hotel is an excellent choice for your stay in Luang Prabang! Triple Two Boutique Hotel is located in the heart of Silom, this location makes the Triple Two hotel an excellent starting point from which to explore Bangkok! The spacious rooms are decorated in a mixture of classic and modern elements and are equipped with up-to-date facilities. 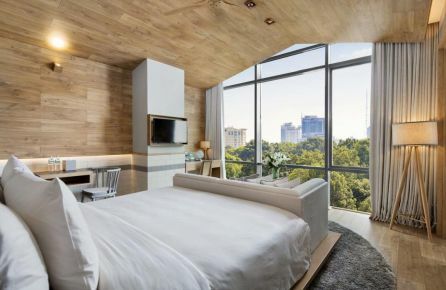 Don't hesitate to book this hotel in Bangkok! Stay close to the tempels of Anghor Wat! 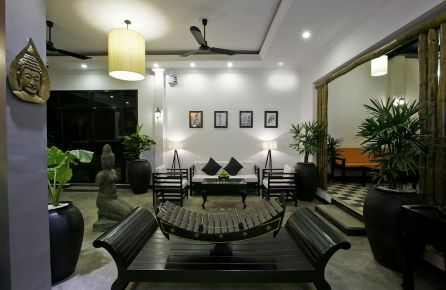 The Cyclo d'Angkor Boutique Hotel is an excellent choice for your stay in Siem Reap. This small boutique hotel has 28 rooms stylish rooms and very important a swimming pool, to relax after a day of sightseeing, The Unesco heritage site is very close to The Cyclo d'Angkor Boutique Hotel! Near the city center of Singapore! This small hotel is a perfect choice for your stay in Singapore, the Ardennes hotel has only 15 rooms, each room is individually decorated and equipped with up-to-date facilities including air-conditioning and wireless internet. After a day of shopping or sightseeing in Singapore you can relax in the swimming pool of The Ardennes Hotel! 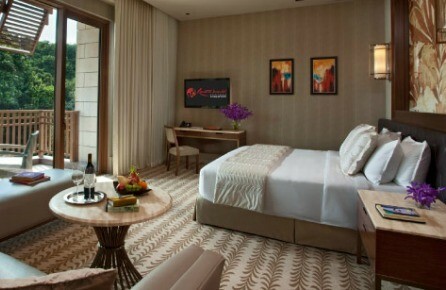 Luxurious Boutique Hotel in Bali! 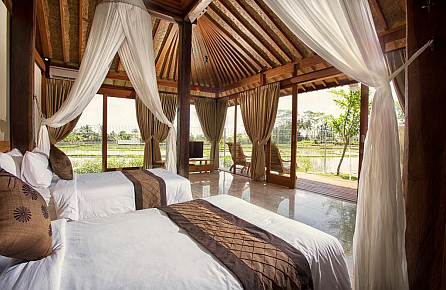 In the cultural capital of Bali, Ubud, you can find the Puri Sunia Resort. 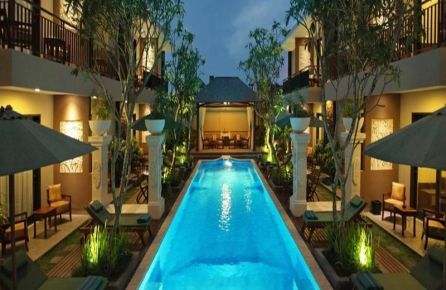 This hotel has 19 luxurious rooms all decorated in a traditional Bali style and a refreshing pool. The Puri Sunia Resort is a perfect starting point of which to explore the beautiful surrounding of Ubud! A few days of relaxing in Singapore! The Equarius Hotel is located at Sentosa Island just outside of Singapore. The location is perfect for a few days of relaxing, in the hotel you can find anything you need. A special feature of this hotel are the Ocean Suites, this rooms offer an underwater view of the Ocean, truly amazing! Before you leave: explore Bangkok! 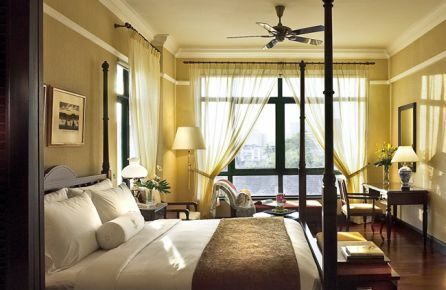 Near the riverside, in the middle of Bangkok's Chinatown, Shanghai Mansion is situated in a historic building dating back to the end of the 19th century. The interior of the Shanghai Mansion is inspired by Shanghai from the 1930's. 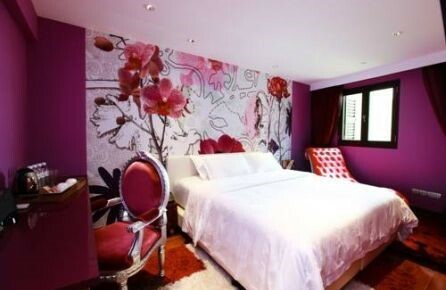 The rooms of the Shanghai Mansion are spacious and elegant and within walking distance of MRT station Hua Lumpung. The hotel offers a free tuk-tuk service to several touristic attractions.